Expert craftspeople have intimate relationships with their tools. In many cases they have created their own tools specifically for their own specific use case and personal preferences. The tools become an extension of their own bodies as they do their work. Paradoxically, masters are both obsessed with their tools and the slight preferences they represent (try talking to a high level hockey player about his preferred stick type/length/taping pattern, etc.) and they don’t let their tools get in the way of doing their work (that same hockey player can use any stick in a pinch). I think one of the main things that knowledge workers struggle with is a lack of relationship with their tools. In a world where our work products are often ephemeral and digital there’s a gap for many where the the crafter/tool relationship should be. 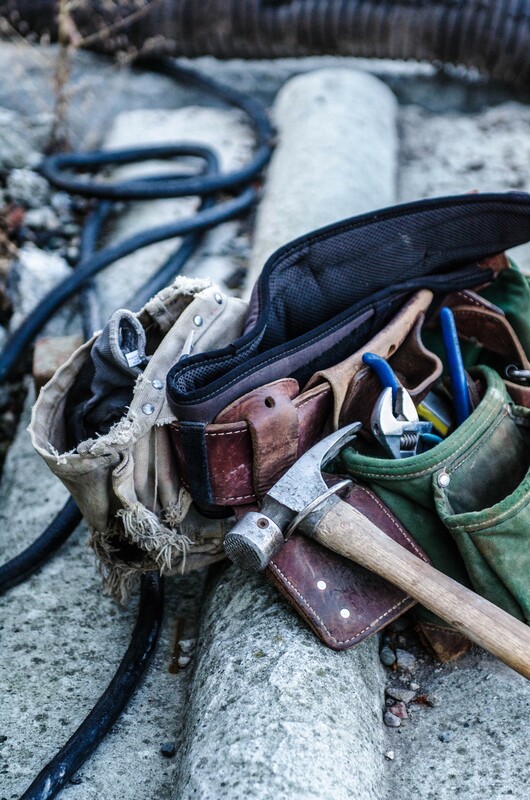 We may not have a specific hammer or wrench that we feel a close connection to because it helps us do our work more easily (and maybe we have some positive memories associated with it) but we do have computers, tablets, phones, apps, and web services that make up our knowledge worker toolkit. They aren’t physical objects but I think they play the exact same role in our world. Meaning at work is a complex and broad topic. I wouldn’t begin to suggest that the best or only way to feel a greater sense of meaning in your work is to start paying more attention to your tools. That seems a little disingenuous and possibly insulting to anyone who feels stuck in an organizational system that is inherently dehumanizing. However, it’s hard to argue with the fact that many people who identify as being some kind of craftperson often report a high sense of meaning in the work they do. To that end, is it possible for the knowledge worker to have the same quality of mind, that same relationship between their effort and their results, that many craftspeople seem to have? I think so. And it starts with sweating your tools. It starts with having an opinion about the software and the services and the tools you use to make your dent in the world. That might mean exploring alternatives to the apps you dread using but feel like you have to. Have you ever tried a different email app? A different calendar app? Have you ever looked at the preferences options of your most used software and seen if there’s anything you want to tweak? Do you hate the keyboard of your laptop? Ever tried using an external keyboard that feels better to type on? There’s an endless array of tweaks, modifications, and choices to be made related to every aspect of our tools. Granted, I don’t want anybody to fall down the unproductive rabbit hole of endless tool tweaking — but I have a feeling most people are much closer to the end of the continuum where they’ve never even thought about their tools (as opposed to me, hanging out dangerously close to the “obsessive tweaker” end of the continuum). Just because we spend most of our time in the world of bits and bytes doesn’t mean that we can’t cultivate a relationship, as weird as that may sound, with the tools that help us make our living. I share an idea in 30 minutes or less every day. Have a thought or a comment? Leave one below or reach out on Twitter.